Here is a list of winter 2019 Natural Landscapes, Native Plants, special environmental events and announcements. I may update with new events, so please check regularly. Click on highlighted links below for more information. 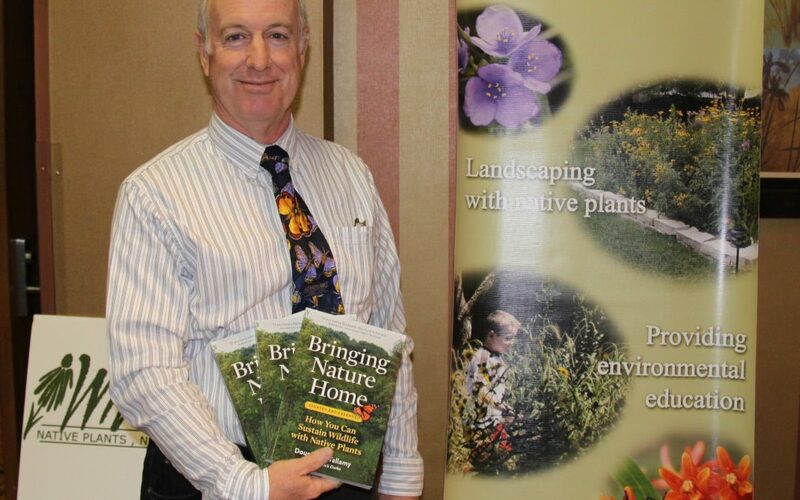 The Wildflower Preservation and Propagation Committee Natural Landscape Seminar – Feb 16 McHenry County College. Speakers , price and registration details on website. Naturally Beautiful Garden Conference by West Cook Wild Ones, Feb 16. Garfield Farm’s Natural areas Management Seminar – Feb 17, LaFox, IL. Speakers , price and registration details on website..
Dupage Monarch Project, River Prairie Group and Warrenville Park District movie: The Guardians, about the people who are protecting the oyamel fir forests monarchs depend upon for shelter. Downers Grove Organic Gardeners Meeting Feb. 21: Favorite Native Plants through the Seasons taught by yours truly. One Earth Film Festival – Various environmental and environmental, social justice films starting in March 1– March 10 at various locations throughout Chicagoland. Some films are geared toward families. Check website for movies, dates, times, locations. Darien Garden Club Conference March 9: Let me tell you about the birds and the bees and the flowers and the trees. 3 speakers, topics include bees, trees and birds.